3D printing is changing everything: product development, manufacturing, supply chains. Everything. The possibilities for businesses and hobbyists alike are endless. Never one to ignore tech innovations, Conrad has been a partner for 3D printing enthusiasts since the technology’s early days. Now in a further move to leverage the advantages of 3D printing for its customers, Conrad has partnered with us to introduce its own print service. 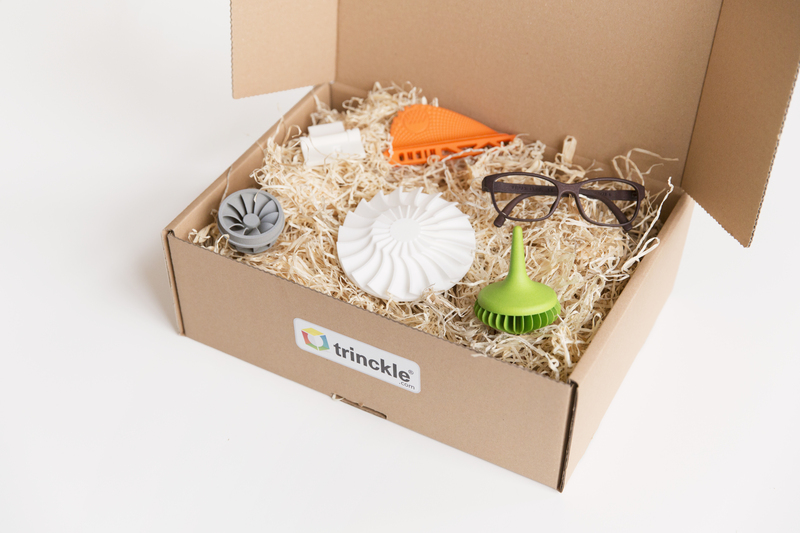 At trinckle, we are always excited to find partners who share our passion for 3D printing and innovation. Conrad is one such partner. Trusted by tech enthusiasts and professionals, Conrad stays ahead of technology trends, guaranteeing its customers the products and services they need. We share this passion for innovative solutions, and have strived to support businesses as they adopt 3D printing production methods since our founding. The first online 3D printing service in Germany, we continue to hone our expertise and further establish ourselves as a leading 3D printing provider. Our 3D printing know-how will now be available to Conrad customers, who will be able to create prints in a wide range of materials and colors, in the highest industrial quality. The basic idea of the new Conrad print service is simply explained: you upload your 3D model to the new Conrad 3D printing service platform, your object is then printed on professional, industrial machines, and finally your object is sent to you. Really, it’s as simple as that. The possibilities are endless. 3D printing enables anyone to design an object specific to their project, application, or needs, and then manufacture it. But since industrial printers are very expensive and difficult to handle, the average user is unable to benefit from their impressive capabilities. Thanks to our common 3D Print Service, this potential is now accessible to everyone: Conrad’s tech know-how, combined with our 3D printing expertise means 3D printing production capabilities are just a click away. Of course, 3D printing and modelling is still a new technology for many users. That is why our 3D Print Service is equipped with our model handling software. Developed in-house, our model handling tools guarantee an intuitive and user-friendly 3D printing experience. Once a Conrad customer has uploaded their 3D model, the software handles the rest and automatically assesses printability and, where necessary, makes repairs. 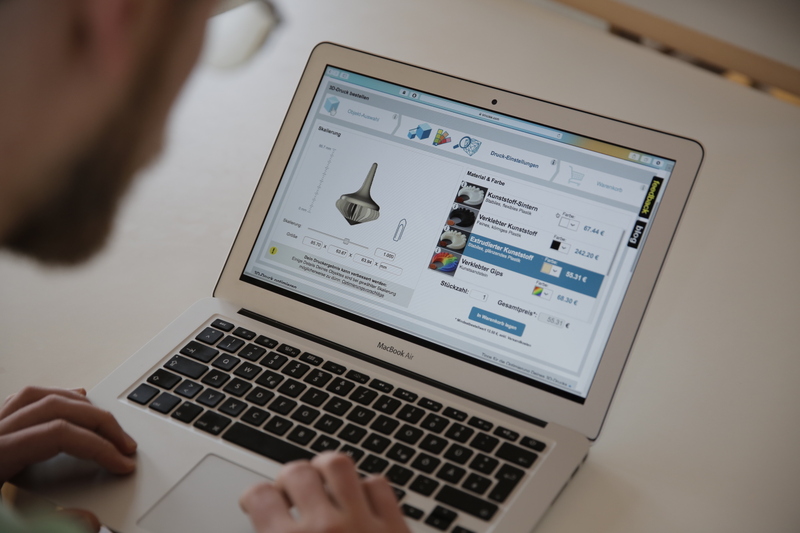 Fully integrated with the ordering system, Conrad customers enjoy one-stop shopping for all their 3D printing projects. 3D printing is more than a manufacturing technology, it gives life to ideas that would otherwise be impossible and creates new opportunities for business. For example, the combination of 3D printing and e-Commerce business models will open the door for many entrepreneurs to realize their passions and offer products completely tailored to their customers’ needs. 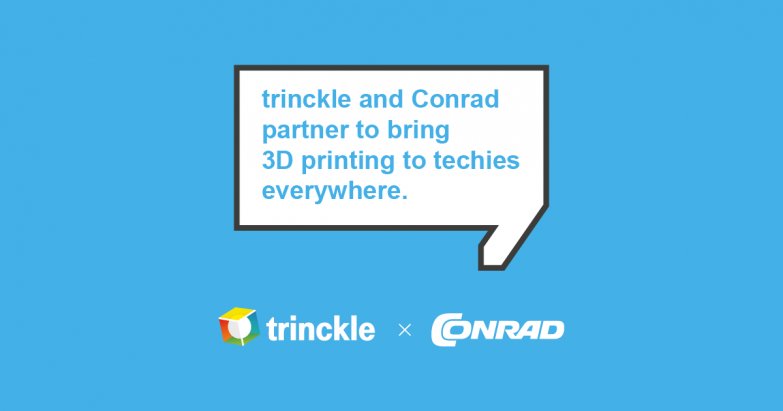 Instead of requiring immense capital to build a supply chain from scratch, they can partner with Conrad and trinckle and get started instantly. The print service is also a chance for DIY enthusiasts and hobbyists to experiment with a different medium. Part of Conrad’s mission is to enable their customers to realize their dreams and create amazing things. At trinckle we see ourselves in the same way, opening doors that might otherwise remain closed. Together we will enable people everywhere to enjoy the advantages of 3D printing for personal or professional projects, the print service is just the beginning. Conrad’s 3D print service is already available in the German market, with the international roll-out scheduled for spring 2017. We are thrilled to be a part of this innovative project, and look forward to supporting techies everywhere in their quest to create amazing things. Want to learn more about how trinckle can get your business ready for digital manufacturing?